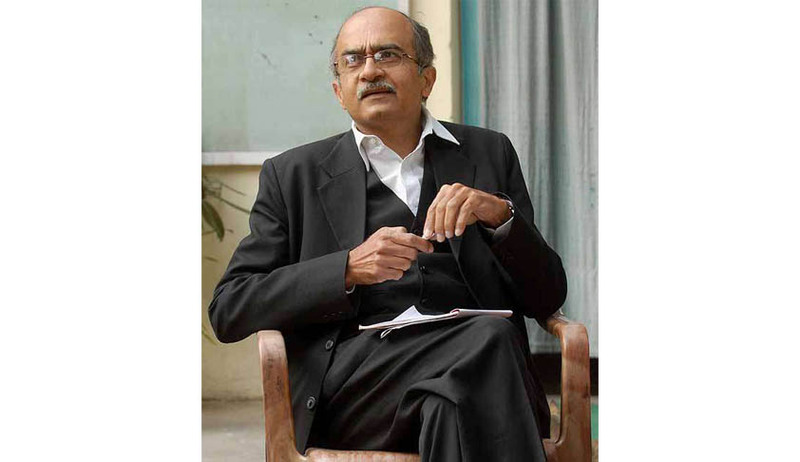 Prashant Bhushan has written a letter to PM Narendra Modi regarding unearthing illicit money, throwing light over facts and suggestions crucial for tackling the “menace”. Bhushan claimed that Indian laws run counter to several provisions of the UN Convention Against Corruption and this leads to India being ranked 58th among the countries in the volume of accounts held in Switzerland by citizens of various countries. The amount, being only 2 billion Swiss Francs, shows that most of the illicit money which may have been deposited in Swiss banks has been moved out and has been brought back and legalised. The United Nations Convention against Corruption (UNCAC), which entered into force in December 2005, is the ever-first binding global anti-corruption instrument. It obliges the States to prevent and criminalize different corrupt practices, promote international cooperation, cooperate for the recovery of stolen assets and enhance technical assistance and information exchange. The Convention addresses both the public and private spheres and provides a set of comprehensive agreed-upon obligations and provisions to criminalize corruption and enhance transparency and accountability. India had ratified the Convention in May 2011. He blamed the system for the stranglehold of black money on our economy, claiming that our system not only allows, but in fact encourages the siphoning out of illicit funds abroad, laundering those funds through tax havens, and re-investing the same in India, as legitimate investment through non-transparent instruments such as participatory notes, and anonymous investments through companies registered in tax havens. He explained that the individuals hence transfer the black money into foreign accounts through Hawala transactions, and then bring it back into the country by way of investments. He appreciated the setting up of the SIT mandated by the Supreme Court under the Chairmanship of Justice Shah and suggested a new law or an amendment to an existing law, requiring citizens to annually disclose a full list of their assets and liabilities, including their stakes in companies or trusts registered abroad. Any income or assets that are not disclosed in the required form would be deemed to be “proceeds of crime”, and included as ‘predicate offences’ defined under the UNCAC. He also suggested that instruments such as participatory notes and anonymous investments by funds or shell companies need to be disallowed with immediate effect. Bhushan advocated the reinforcement of the suggestions by corresponding changes to any bilateral treaties or double taxation treaties that India has signed with individual countries, since those would normally take precedence over the provisions of the UNCAC. He then referred to Article 14 of the UNCAC which provides for the institution of a comprehensive domestic regulatory and supervisory regime for banks and non-bank financial institutions and put in place other mechanisms in order to deter and detect all forms of money-laundering. He also referred to Article 23 which provides for establishment of acts, which facilitate such transfer of illegal proceeds, as criminal offences. It suggests declaring all undisclosed assets and income to be ‘proceeds of crime’, as well as provisions to increase transparency and require full disclosure of ownership of investments and saving held in different accounts. “Bank secrecy laws” that were instituted in Switzerland and other tax havens were blamed by Bhushan for nullifying the efforts by Indian law enforcement agencies. The UNCAC recognizes the impediments that such laws may place in the way of law enforcement, and has, in several places, mandated that global public interest must override any such domestic bank secrecy laws. The mechanism for seeking mutual legal assistance that has been laid out in Article 46 of the UNCAC also provides several instruments that can be used to overcome the barriers that have been used in recent times, to frustrate the process of recovery of illegally begotten wealth, and taxpayers money stashed in foreign accounts. He claimed that the increased transparency would in fact boost investor confidence, unlike claims by several economists that such measures will discourage foreign investments into our economy. He added that one must remember that most individuals and companies want a transparent and clean environment to do business, and are least likely to be deterred by measures that seek to improve the level of transparency and to promote a clean business environment. If such changes are introduced by the Government in India, Article 24 of the UNCAC would enable the government to ask governments of tax havens such as Switzerland, Mauritius, Cayman Islands, etc, to disclose all bank accounts and assets held by individuals. He urged Modi to take steps in order to safeguard the future of our economy, as well as our democratic institutions.